Rapid ID Badge Reel Nurse Pack Get our Rapid ID Pack with your choice of 3 different badge .. Rapid ID Lanyard Nurse Pack Get our Rapid ID Pack with your choice of 5 different rhineston..
Deluxe Nursing Pack Get our nursing pouch with even more pocket medical equipment used by t.. Rapid ID - Nursing Pack Get our 5 card Rapid ID Nursing Pack that contains quick refer..
Standard Nursing Pack Carry all you small pocket equipment in this nurse pouch. Get the sta..
Stethoscope Accessory Pack Get our Stethoscope Accessory Pack with everything&nb.. 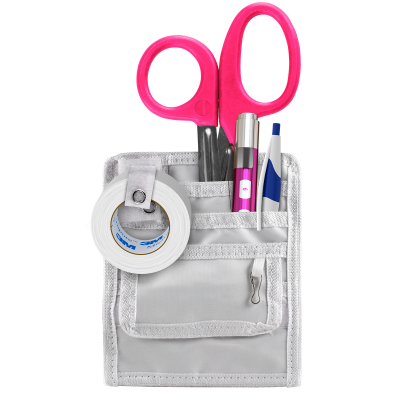 Ultimate Nursing Pack Carry all your small documents, notes, notepads, scissors, pens, penl..